Have a question, concern, or comment? Feel free to contact us, or connect with us on Facebook. Please see our adoptions section in regards to who we currently have at the lounge as this is updated regularly, and will list everyone in our care. 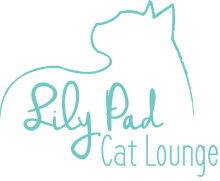 We will always have the lounge closed from 1-3 every day to allow the kitties to rest.